Is seeing believing? This book will prove the contrary – Sarconista! My new work “Optical Illusions” will make you question: “is seeing believing?”… The brain is an amazing thing, but it doesn’t always get things right when it comes to sight. 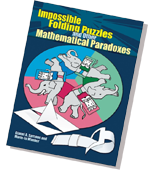 My book is here to explain why, with astounding images, baffling puzzles, and simple reveals. I explained the science behind each illusion in an engaging way, to encourage the reader to find out more each time. I have been commissioned for this book project by Quarto Knows Publishing. Interested in working with me? Please, get in touch! I am happy and proud to announce that my book “Optical Illusions” won the Royal Society’s Young People’s Book Prize 2018!